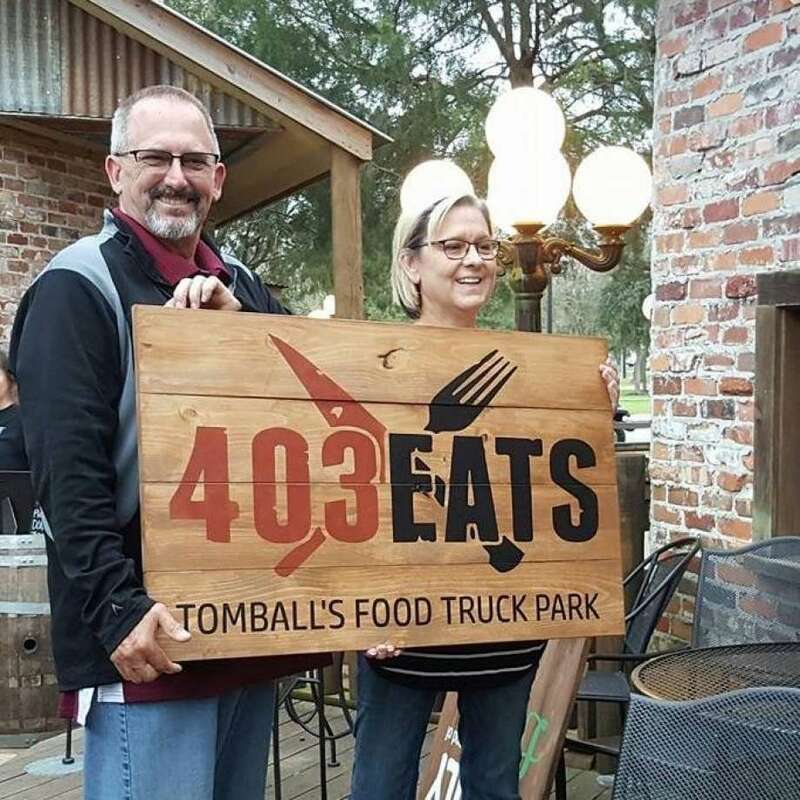 Tomball will get its first food truck park, 403 Eats, setting the stage for the city to join others in northwest Houston to have joined the food truck frenzy, like Deacon Baldy's in Magnolia and Bernie's Backyard in Spring. While stringent zoning rules previously hindered the creation of a food truck park or "mobile food court" within city limits, recent changes were made in light of heightened interest. In the last year, the city received three inquiries about food truck courts within the city alone, according to community development director Craig Meyers. "With the repetitive interest of developing mobile food courts and since we have seen their success in other nearby areas, we decided to develop zoning amendments to accommodate them," he previously said. Those accommodations led to what will be the first venue of its kind in Tomball, in 403 Eats. It features a building - which is currently being remodeled - with air-conditioned, indoor seating and televisions. Outside is a children's play area and a patio addition which is currently under construction. The outside area may also include features like a fire pit. "Food is a huge part of what we do so the more variety we can offer, that's what we want to do, that's what our ideal is," said co-owner, Mike Fagan. He's thrilled that a nearby commissary will allow operators to clean their food trucks more expediently and conveniently than others he's known. He said the biggest concern now is parking. The quarter-acre venue will operate at the southeast corner of East Main Street and Chestnut Street, at 403 East Main Street. Gretchen, the mayor of Tomball and Fagan's wife, said the location is ideal because "there are limited dining options" near. She said nearby businesses are excited about 403 Eats' opening and are hoping to benefit from more foot traffic close by. The city council voted on first reading to approve 403 Eats and will vote once again in early March. The couple will begin work on the outside of the venue which they said will help capture the family atmosphere of the space. They're hopeful because of the fanfare that's been building for 403 Eats despite little promotion. The two are expecting Sundays and Mondays to be especially big days for the park. "Not even saying a word, its gone viral," he said. They expect this will allow them to be choosey with vendors. Mike said he wants a diverse range of food. On liquor, he said not quite yet, but beer and wine may be served. He declined to give the cost of the food truck park project but suggested it wasn't insignificant. "It's a gamble but we like the feedback we're getting," he said, joking that his wife's status won't hurt business. "We think it's going to be a matter of keeping it small and clean."